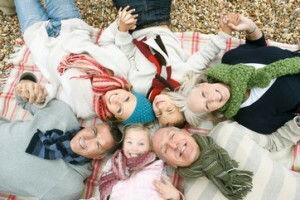 At CarsonDDS.com, we offer the best quality dental care in all of Ventura County with stress free treatment plans and state of the art technology. Our expertise and 45 years of experience in the dental industry will make your visit to our practice a comfortable and easy learning experience where you can expand your knowledge of caring for your teeth and their health. We are a family owned business, which means you will feel right at home having your dental work completed in a comfortable patient environment. Visit the Oxnard dentist offering superb quality, pain free dental care since 1972 – Carson & Carson, DDS with conveniently located offices in both Oxnard and Camarillo. Many dental insurance providers accepted. Call today to schedule an appointment (805) 983-0717 with our Oxnard dentistry. View a list of our office locations to find one close to you or more specific directions to our dental offices. Cosmetic Dentistry and Dental Makeovers are a specialty at Carson and Carson, DDS. We offer same day crowns, bridges, and veneers that we produce on site in our in-house lab with high-quality porcelain or composite resin. Restore the aesthetic glow to your smile today with affordable cosmetic dental treatments available at Carson & Carson, DDS in Oxnard, California. 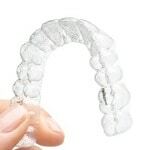 Invisalign is a popular and nearly invisible alternative to traditional braces that we offer at Carson & Carson, DDS. Affordably whiten and straighten your teeth simultaneously with an Invisalign clear aligner available at Oxnard Dentist Carson & Carson, DDS. Dental Crowns are done in house with our state of the art CEREC Mill machine and are completed within the same day. Our CNC mill is capable of producing brand new crowns within 25 microns of accuracy. Incredibly precise crowns for the perfect fit available same day and at affordable prices at Oxnard Dentist Carson & Carson, DDS. 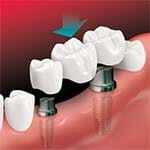 Dental Implants are used in many dental treatments. We are an experienced implant dentistry having offered dental implants to patients for over 20 years now. 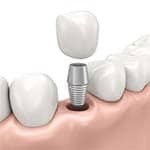 Our implants are made on site with the finest of dental materials in our in-house laboratory and are offered at affordable prices. Many forms of dental insurance are accepted at our Oxnard & Camarillo practices, and financing is available through Care Credit. Dental Bridges are built right here in our in house lab and have provided an affordable solution for many cases that we’ve treated in the past 45 years. 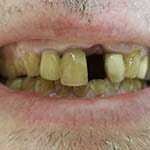 Visit the page to view our many cases studies that showcase the wonderful smiles that were restored from the use dental bridges. 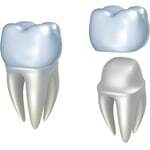 Get a dental bridge from an experienced dentist in Oxnard, California. Fillings are a treatment used to fill in small-medium cavities. Tooth decay is removed from the tooth, and a filling composed of amalgam (silver), composite resin, gold, or porcelain is then used to restore the function of the tooth. Our two dentists perform filling procedures frequently and have successfully treated thousands of cavities using this method over the years. 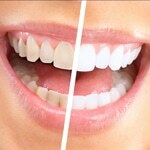 Teeth Whitening is available to restore the shine to your smile. In the 45 years we have been providing dental care, our dentists have whitened even the most severely stained teeth teeth to the perfect shade. Brighten your smile today with affordable cosmetic dental services available from the experienced dental team at Carson & Carson, DDS in Oxnard, California. Full Dentures are another alternative for restoring the functionality and aesthetic to your smile. Both of our dentists have decades of experience using dentures as a form of treatment at Carson & Carson, DDS. Our dentures are produced the same day, on-site, and can be adjusted at any time to find that perfect fit. Stop by our Oxnard or Camarillo office today and find out if dentures are a solution for you. Partial Dentures can be completed as an alternative with undetectable results. 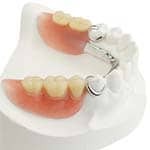 Get the functionality and natural look of dentures without the hassle of wearing a full set of dentures. 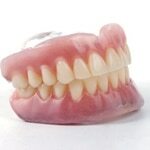 Affordable dentures are produced on site and can be done in a single day at Carson & Carson, DDS. Dental services for Adults and quality care for individuals of all ages are available at Carson & Carson, DDS. We are a family owned Oxnard dental practice that offers many treatments for adult patients ranging from routine checkups and cleanings to root canals and dental crowns. Find the experienced dentists that you’re looking for and excellent dental care at affordable prices from Carson & Carson, DDS in Oxnard, California. Pediatric Dentistry for Children is available for kids of all ages. It’s best to bring them in at around 1 year of age to get a jump start on keeping their teeth in healthy shape. We have been doing pediatric dentistry for over 30 years, so we know what it takes to get your kids enthused about proper oral hygiene. 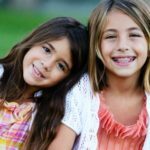 Find affordable pediatric dental services from experienced dentists who care at Carson & Carson, DDS in Oxnard, California. 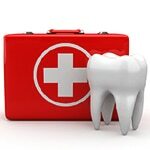 24/7 Emergency Dentistry services are available for all of our patients from our Oxnard location. If your dental issue is non-life-threatening, then call us for immediate assistance with many dental emergencies such as broken/chipped teeth, toothache pain, oral punctures, and dislodged or avulsed teeth. Get help at any time of the day from dentists with over 45 years of experience at Carson & Carson, DDS. 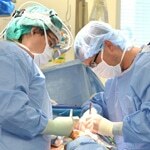 Oral Surgery and maxillofacial surgery are a specialty of Carson & Carson, DDS. Our two dentists have over 60 years of combined experience performing oral surgery to treat a variety of dental issues such as the removal of oral cancers or abscesses. Get help from experienced oral surgeons in Oxnard, California today at Carson & Carson, DDS. IV Sedation can bring a stress-free experience to your next dental visit while eliminating the fear of visiting the dentist. Both of our dentists are certified conscious sedation examiners and have decades of experience performing dental treatment on sleeping patients. At Carson & Carson, DDS, you can choose to comfortably sleep through every dental procedure you take part in. Preventative Dentistry is an important part of your oral health used to prevent the development of tooth decay, gum disease, and oral cancers. We don’t just treat our patients, we also try to educate them on how to maintain good oral hygiene that may save them thousands of dollars down the line. Avoid the pain and expensive treatments that arise as a result of bad oral hygiene habits by investing in an experienced preventative dentist at Carson & Carson, DDS in Oxnard, California. 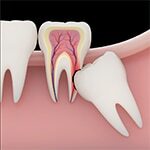 Wisdom Tooth Removal is a necessary procedure for most individuals. Our two dentists have over 60+ years of combined experience in oral surgery and provide a smooth and painless experience for many of our patients when removing wisdom teeth. Wisdom teeth can be the cause of many complications with your health including an increased likelihood of developing certain oral cancers when they do not have the room to grow in properly. Root Canals and Endodontic procedures can be painless treatments at Carson & Carson, DDS. Our dentists have over 45 years of experience performing root canals and come highly recommended as root canal specialists in Oxnard, California. Receive pain free care for your toothache at a modern dentistry that has successfully performed thousands of root canals. Tooth Extractions are a last resort option to fight to infections and tooth decay, but they are also used in some orthodontic treatments. At Carson & Carson, we always aim to provide pain-free tooth removals that leave minimal scarring. 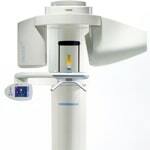 Dental CT Scan and Digital Radiography are provided in-house at Carson & Carson and are done with state of the art Sirona CT Scanner machines. In our advanced dentistry, we then use these highly precise digital images & modern dental technology to give you more accurate advice and treatment. CT scans are incredibly useful for identifying oral cancer and are commonly used to prevent many dental issues. When it comes to taking clearer images for the betterment of your health, settle for nothing less than state of the art technology provided at Carson & Carson, DDS. Over the decades of providing dental care to thousands of patients, we have seen a huge variety of dental issues and have the experience to identify and treat them quickly. Tooth Attrition, Erosion, and Fractures can happen over time with neglect for the care of your teeth. At Carson & Carson DDS, we can help fix chipped or eroded teeth and help you establish habits that will keep your oral hygiene in good condition. 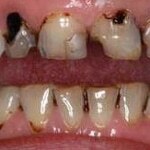 Cavities & Tooth Decay are usually the result of bad oral hygiene habits. 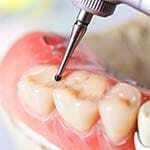 Some tooth decay cases can be treated easily with a filling, others may require more extensive work such as a dental crown or a root canal to restore proper function to the decayed tooth. The best defense against tooth decay is maintaining a good oral hygiene routine, and the next best defense is visiting your dentist often. Want to restore your smile to cavity free? Give us a call today (805) 983-0717 & schedule an appointment at one of our modern dental offices in California. 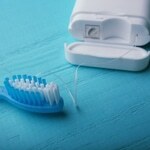 Tooth Infections can turn into a serious problem very quickly. Before you know it, a dental infection can turn a preventable situation into a scary, life-threatening issue that can cause face altering damage or have a permanent impact on your health. We offer our patients a 24-hour availability for dental emergencies such as toothache pain caused by dental infections. Chronic bad breath, also known as Halitosis, is a common dental issue in which the fragrance of one’s breath is consistently foul smelling. Bad smelling breath can be a sign of a more serious medical or dental issue and the focus of treatment should always be on the cause rather than masking the symptoms. 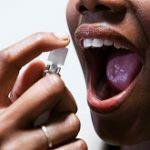 Several things can lead to halitosis including lodged food particles, dry mouth, using tobacco products, dental infections, medical issues such as GERD, certain diuretics and antihistamine medications, and alcoholism. 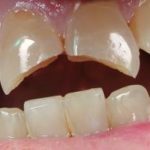 , more commonly known as teeth grinding, is a common dental issue that does not usually require treatment but can cause substantial damage to your teeth when a severe case is left untreated. Common symptoms include audible grinding or clenching of your teeth, rapidly diminishing tooth enamel, tired or tight jaw muscles from rigorous clenching or grinding, torn or damaged cheek tissue from being chewed on, and headaches in the templates that often occur during sleep or just after waking. If you feel that you are experiencing any of these symptoms and they may be caused by Bruxism, contact your dentist for help with treatment. Although teeth are some of the most durable bones in your body, chipped and broken teeth are extremely common dental issues. Teeth are commonly chipped or broken from things such as: trauma to the face, cavities & tooth decay, biting something hard such as ice, opening packages with your teeth, having old amalgam fillings, and bruxism or teeth grinding. If you have a chipped tooth, you can rinse it with warm water, apply gauze to stop bleeding, or cover the tooth with dental cement, but make sure that the damaged tooth is seen by a dentist. Canker sores and cold sores are two distinct types of ulcers that appear in and around the mouth respectively. Canker sores are non-contagious growths inside the oral cavity that can be cause for alarm as they may be precancerous, whereas cold sores are highly contagious growths that appear outside areas of the mouth and lips. Most often, canker sores are harmless and disappear in less than 2 weeks, but you should seek immediate medical attention when they are abnormally large, extremely painful, causing fever, are spreading rapidly, or are causing difficulty eating or drinking. Rinsing your mouth with a salt & water or Benadryl & milk of magnesia mixture can help relieve the symptoms of canker sores. Gingivitis is a preliminary form of periodontal disease that is characterized by the inflammation of the gums. Overall, Gingivitis is not a serious condition, but it does indicate that an underlying dental problem needs to be treated. 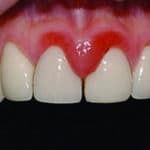 Common symptoms of Gingivitis include: bad breath, gums that bleed when during brushing, dark red or purple colored tissue of the gums, or a receding gum line. Many lifestyle choices and genetic factors increase your risk of encountering periodontal disease such as: age, oral hygiene, diabetes & HIV, chronic dry mouth, use of tobacco products, genetics, vitamin C deficiency, hormonal fluctuations such as during puberty or pregnancy, and some prescriptions drugs that are used to treat epilepsy, angina, and high blood pressure. 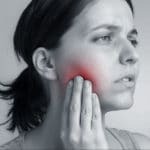 For immediate toothache relief, nothing is better than visiting your dentist, but there are a few home remedies that can help you temporarily ease the agony. Some of these home remedies include: a salt + warm water rinse, over the counter pain medications, applying ice to the cheeks, applying oils such as clove, sunflower, or sesame oil, chewing on ginger or garlic root, and non-rigorous exercise. We are available 24/7 for immediate toothache relief treatment. Give us a call at (805) 983-0717 for emergency dental treatment any time of the day. The TMJ or Temporomandibular Joint is the meeting point of the lower jaw and the skull. The workings of this joint system are quite complicated which create difficulty when trying to isolate the cause of a disorder with the TMJ. Common symptoms of a TMJ Disorder (TMD) include pain in the lower jaw, aching around ears or face, clicking noises when moving the lower jaw, trouble opening or closing the mouth, swelling in the face or TMJ’s, or a sudden change in the way your teeth fit together. Depending on the cause, treatments for TMD can vary from taking over the counter pain relievers, changing your diet to include more softer foods or even practicing relaxation techniques to relieve stress or frustration. are characterized by the uncontrollable growth of human cells that invade the space and disrupt the function of neighboring tissues. Typically, oral cancer appears as a sore in the mouth that occurs on the tongue, lips, throat, sinuses, soft palate, hard palate, the cheeks, or floor or roof of the mouth. It most often looks like a small white or red patch of growth that causes local pain or bleeding. The outlook for those who are diagnosed with oral cancer is not great with only 57% of individuals surviving longer than 5 years past the diagnosis. The overall survival rate is low because oral cancer is often discovered late into its growth cycle. Similar to many other cancers, the treatment involves surgical removal of the growth, chemotherapy, and radiation. The key is prevention and early detection. Not sure what some of these dental terms mean? Check out our dental vocabulary terms page and read the definitions. At Carson & Carson DDS, we provide dental care with state of the art digital technology supported by years of experience and certified training in all 9 major dental specialties. You can read more about what our patients have had to say on our reviews page or yelp, or call us today to schedule an appointment (805) 983-0717. Dental public health is the study of social health policies and dental epidemiology. 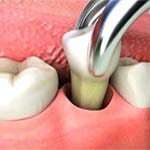 Endodontics and Root canal therapy with the study of diseases of the dental pulp in patients. Oral and maxillofacial pathology is important for the study, diagnosis, and treatment of oral/maxillofacial related diseases and dental issues. Oral and maxillofacial surgery involving tooth extractions, dental implants, and facial surgery. Oral and maxillofacial radiology is important for the study and radiologic interpretation of oral and maxillofacial diseases. Orthodontics and dentofacial orthopedics involve the straightening of teeth and modification of the midface and mandibular growth. Periodontics / periodontology is the study/treatment of diseases of the periodontium involving non-surgical and surgical treatments. Periodontics also involves the placement and maintenance of dental implants. Pediatric dentistry, also known as pedodontics, is the practice of dentistry for children. Prosthodontics involves dentures, bridges and the restoration of dental implants. Prosthodontists can also have specialized training in “oral and maxillofacial prosthodontics.” This involves the discipline concerned with the replacement of missing facial structures, such as the ears, eyes, noses, etc. Carson & Carson, DDS is proud to offer great coverage for our dental services from a large number of major dental insurance carriers, some of which include: MetLife, Delta Dental, Aetna, Cigna, Humana, Guardian, United Health Care, Anthem Blue Cross, Assurant, Premier Access, Connection Dental, United Concordia, and DenteMax. You can see a full list of dental insurance carriers that are in-network on our dental insurance page. Website managed by CaliNetworks Digital Marketing.